Need ideas for Leo zodiac tattoos? We have plenty for you right here. If your birthday falls between July 23 and August 22, congratulations, you're a Leo! Leos are quite gregarious and tend to find themselves in the limelight. Perhaps this is why so many find themselves attracted to the theater and other performance arts. After all, this sun sign thrives on drama. Leos have the opportunity to get some really great body ink inspired by the many different aspects of their sign. Let's take a look at a few ideas. The king of the jungle is Leo's most closely associated symbol. Most Leos prefer their lion tats to look as dramatic as possible, which is no surprise, and some really terrific tats have been created using exaggerated manes. The lion's nobility also lends itself nicely to crown imagery, so feel free to give your regal lion some head gear befitting his kingly status. 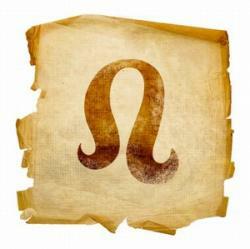 After the lion, Leo's glyph symbol is the second most recognizable imagery for this sign. The glyph itself looks a bit like a snake. Leo is a fire sign, so let the flames reign. You might choose a straightforward set of flames, or use flames to accent any other Leo imagery you decide to use. Picture your lion's mane done in flames, and you'll understand what we're talking about. 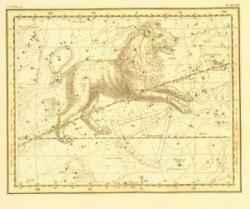 In astrological terms, the sun is a planet, the most prominent one in Leo's sphere. Suns make absolutely fantastic tattoos, and you can take a lot of artistic license with the rays. You can choose fiery licks of flames, or go with bold multi-colored rays. This is a great way place to incorporate metallic inks if you have a fondness for them. You can also add more character by giving your sun a face. The features can be quite benign or very intense, depending on your own personality and tastes. Leo lives in the fifth house, which is the house that rules love issues. Especially romantic Leos might want to wear their hearts on their sleeves, or rather their upper arms. Picture your sun sign on a heart background, perhaps with a few of those flames we mentioned earlier. If you're enthusiastic about astronomy, perhaps a tattoo of Leo's constellation would suit you better than some of the flashier imagery associated with this astrological sign. The story behind this constellation might also give you ideas for Leo zodiac tattoos. It revolves around the legend of Hercules and the Nemean lion. According to the legend, the Nemean lion's hide was too thick to be punctured by metal or stone. Hercules was assigned to defeat the beast as one of his quests, and managed to do so by strangling the animal when he had no alternative left. Apparently, this angered the goddess Hera, so she raised the soul of the lion up to the stars where it still shines to this day. Not to be confused with your birthstone, which correlates to the month you were born, Leo's star stone is the ruby. This gem is associated with your ruling planet, so why not consider a fabulous ruby gemstone tat sparkling against the rays of the sun? If you want to take a more straightforward approach, why not simply have the word "Leo" tattooed on your body part of choice. There are so many lettering styles there's sure to be one that fits your taste. Street-wise Leos may prefer a graffitti-style Leo zodiac tattoo, while more refined Leos may like the look of script lettering. Additionally, you can work in more Leo imagery by adding flames, hearts or a sun to the design. Perhaps your astrological preferences tend toward eastern philosophies? In that case, the Chinese zodiac may be more to your liking, and your sign under this system would correlate with the year of your birth, rather than the month.